The property was completely renovated in early 2011 in a contemporary style. It is set back from the pavement. From the front door there is a large reception room with wooden floor equipped with 3 three seater sofas 42' plasma TV and DVD. Entrance through to the large kitchen/ dining room. There is a dining table and 6 chairs. The fully equipped kitchen has granite worktops, extractor, wine cooler, integrated washing machine, dishwasher, oven and hob, microwave/grill, large fridge freezer. This leads through to the conservatory and out to the garden. At the rear of the garden there is another room with a sofa bed and desk with en suite shower and WC. On the first floor there is a master bedroom with 5' bed and 32' plasma TV. Bedroom 2 with double bed and LCD TV. Large bathroom with separate shower. On the 2nd floor bedroom 3 has a double bed, LCD TV and en suite bathroom. Excellent place to stay and commute to London city via train. Close to South Ealing station (10 min walk). Colin is very responsive and helpful. Would recommend to others especially if you have a larger group. Had more than enough kitchen utensils. House was very clean & spacious. Owner was very generous and replied back in less than 30 min, every single time! Such a great place, would definitely ask for this house again. Thank you! This place was perfect for us. There was plenty of room. Kitchen had everything we needed. The kids each had their own space and we were able to spread out and be comfortable. 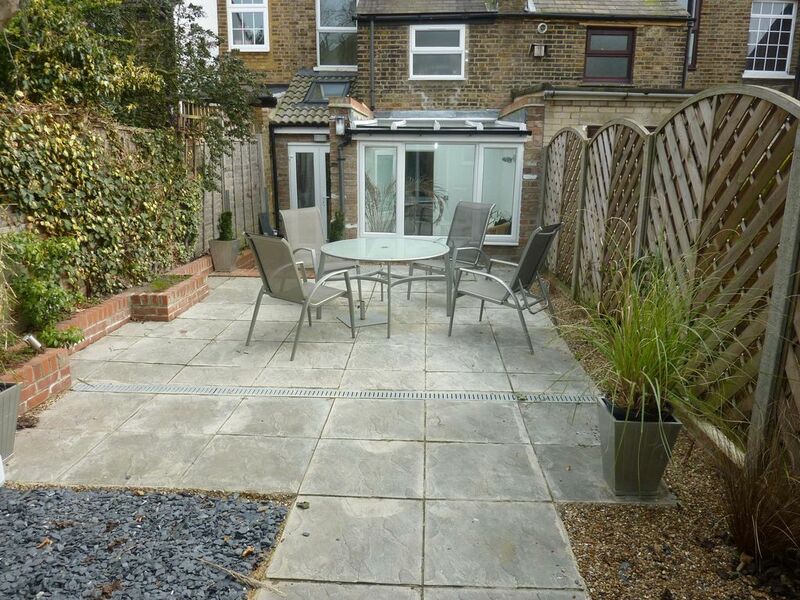 Location is ideal - within walking distance to the tube to get to just about anywhere. Restaurants are within walking distance - I recommend the Globe- food was really good. One tiny thing that I only mention as advice to others- if you have a rental car be sure to check the signs on the street for parking rules. We had a wonderful stay and would definitely stay here again. The place is very convenient for 10 person. Bus stop is really close to connect to Piccadilly Line (North Field) train station. Stores close by as well. Management is very accommodating. Colin is wonderful host, we came a little early and were able to get into the house. Anytime I had a question he reply within a few hours, I think the communication was great. The underground station is very close (less than a mile) and there are grocery stores close (closest one being on Whitestile Rd- 2 blocks away) and couple.pubs close (our favorite was The Globe) The request I do have would be --> have a manual on the washer / drier unit, could not figure our how to use the drier. This Victorian House is located on the borders of South Ealing and Brentford. It's 5 mins walk from Brentford rail station which goes to Waterloo Station in Central London about 6 times an hour. It is 15 minutes walk from South Ealing Tube on the Picadilly line. It is 8 stops to Hyde Park Corner. It is only 8 stops from Heathrow. There is free on road parking outside the property. The M4 motorway is 2 minutes away. There is a bus stop close by taking you direct to Ealing Broadway Shopping Centre, Ealing Common and nearby public open spaces. It is a very quiet residential street. There are very nice pubs, restaurants and local shops a few minutes walk from the property. It is a short walk from the River Thames and on the other side of Kew Bridge you have Kew Gardens. There is an additional charge of £65 for end of rental cleaning. This will be deducted from your deposit.